What was once an underground movement mostly utilized by cannabis enthusiasts who also hunted is now a popular food-plot tactic in states across the U.S.
Long before the research lab started documenting such incidents between deer and happy weed, publications serving the cannabis community were busy writing tips to help growers keep deer out of their marijuana plants. “If your marijuana growth is in an open area, it should be fine. However, if it’s in a more rugged, wooded area, beware! You need to be vigilant for a deer problem that may put your crop in peril! Of course, what constitutes a problem for one group, can have the inverse effect on another group. A year ago, a North Carolina dairy farmer and avid hunter came by the marijuana-food-plot strategy by accident. The thing is, Short was serious when he said the money wasn’t good for dairymen. In 2016 he was on the brink of getting out of farming, at least until a local extension agent offered a solution. 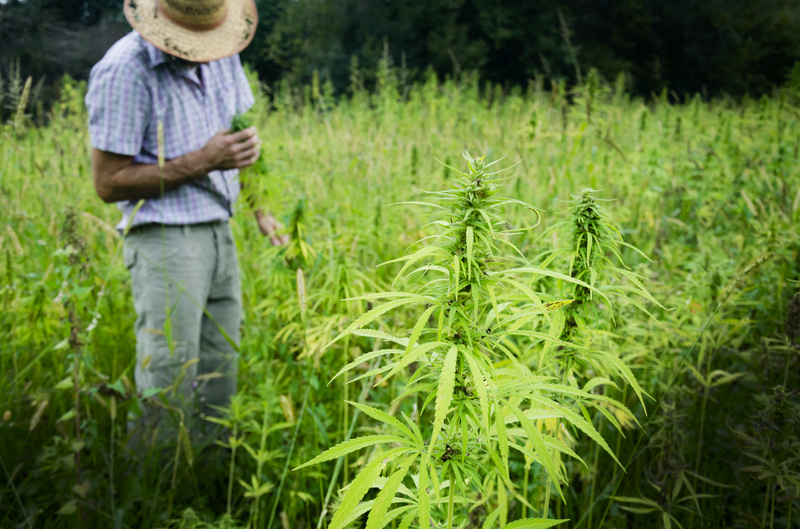 North Carolina launched its Industrial Hemp Research Pilot Program two years ago, and the state’s agriculture agency is accepting applications for prospective 2018 growers until June 1. Once Short seeded his first hemp field, he stumbled onto a byproduct of sorts. Not long into the 2017 deer season, Short ended up with what he called “a nice buck” that’s now mounted in his living room. Still, Short’s hemp-field success only motivated him to do more. In preparation for the 2018 whitetail season, Short doubled-down and planted all of his food plots in marijuana, replacing the clover he'd always relied on. He's hoping the marijuana will be an even stronger attractant than the hemp proved to be. Through trial and error, he's learned what Grasscity Magazine already knew. But if hunters think the marijuana cravings will make deer high, happy and far less wary, they’d be mistaken. According to Weed Women, a non-profit alliance of woman researchers who focus on the transformative properties of cannabis, deer won’t get high from mowing through marijuana plants, despite its levels of THC (the chemical responsible for most of marijuana’s psychological effects). This strategy isn’t one Nate Nix, regional wildlife biologist at Deer Research Lab, Inc., expects hunters to adopt.